(SKNIS): The Hon. Wendy Phipps, Minister of State with responsibility for Health, announced on Friday, August 18, at a Press Conference to update the press on the calendar of activities for the 34th Anniversary of Independence, that the Mental Health Day Treatment Centre is slated to open and be operational before the re-naming ceremony set for September 08, 2017. 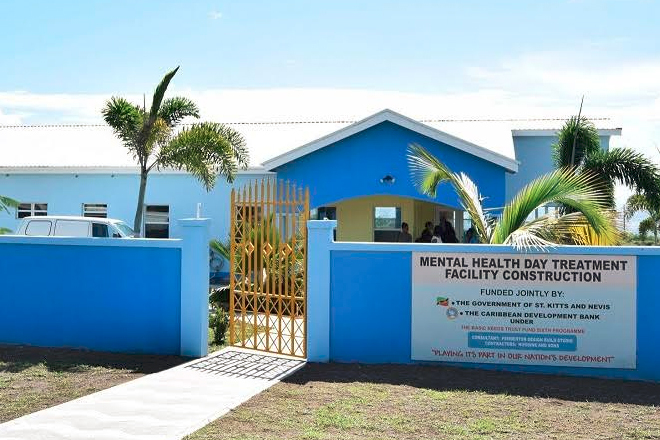 “We have, in the process, over the last few months been focusing on getting right the standard operating procedures as it relates to the operating of that facility,” stated Senator Phipps, as she explained that the Mental Health Day Treatment Centre had a soft opening in December 2016 and since then faced some telecommunication and human resource challenges that have inhibited the official opening of the centre that was set for earlier this year. The primary objective of the Mental Health Day Treatment Centre is to provide an outlet for the care and rehabilitation of individuals living with mental illness in hopes of reintegrating them back into society. “We are hoping that the facility will be fully operational to the public before the 08 of September,” said Senator Phipps, as she mentioned that the name change for the centre will be announced at a later time prior to the ceremony.